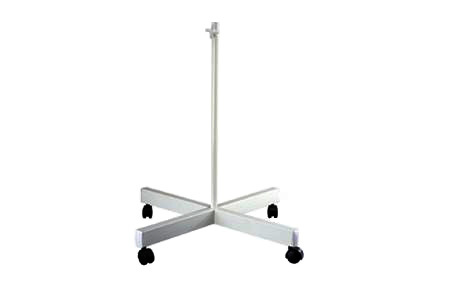 Black floor stand for magnifying lamp - Delivered Australia wide. - 4 legged spare part for Magnifier Light. (#CAPG031B). Delivery available of Magnifying Lamps Australia wide. Payments accepted online with PayPal, MasterCard, or Visa. For more information call (02) 6162 1950 or email. * Desk top, Clamp and Stand alone Light models available. * All Magnifier Light models can be inspected at our Canberra store.